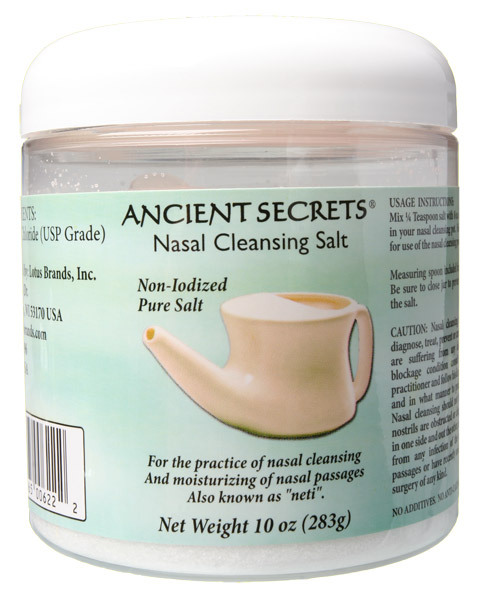 Ancient Secrets Nasal Hygiene products for the practice of Neti are beneficial and supportive of a natural lifestyle of wellness and balance. 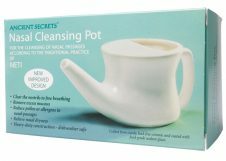 The Ceramic Neti Pot is crafted from sturdy lead-free ceramic and coated with food-grade sealant glaze. The advanced, patented design has an easy-grip handle, better nozzle seal is balanced for ease of use, and has a designed water chamber for less mess and easier cleaning.